I have had one heck of an experience finding a job this last time around. I wanted to share the experience, but felt that there was some hard fact searching and job market research that needed to happen before we got into the more entertaining stuff. So this post is really all about prepping for my next blog (to be posted next week). When I was looking at colleges as a high school junior back in 1998/1999, I remember the sage advice of my biology, genetics, and home room teacher Mrs. Sheffield, “Don’t go into physical therapy, there’s no jobs! You should go into computers.” Thanks for that. Wasn’t she supposed to be encouraging my young, vulnerable mind to head towards the sciences!? The late 90s was a particularly bad time to be going into healthcare. The Balanced Budget Act had recently been passed , and everybody was in a panic cutting staff and freezing hiring in the medical sector. Somewhere in my search for college programs and a potential career, I (or more likely my parents) came across a chart showing trends in employment in PT. Historically, there was a cycle where employment would increase for 6-7 years and then dip downward for 6-7 years. Looking at this chart in the late 90s, I concluded that 1999 and 2000 should be the bottom of the market and that by the time I graduated in 2006, employment in PT should be back near the top! So, I proudly defied Mrs. Sheffield a pursued an education in the jobless field of physical therapy. I don’t know why employment in PT follows this cycle, and I have tried relentlessly to find another chart that shows what I saw in 1999, but I haven’t been able to find a chart that graphs PT employment over decades. What I do know is that when I graduated from PT school in 2006 the market was great, classmates were turning down jobs that didn’t pay enough, and Mrs. Sheffield was dead wrong. Now, here we are 7 years later, and while I remain gainfully and happily employed, I am finding it harder to get the travel assignments I want than it was just a couple years ago. I propose that we are maintaining this 6-7 year cycle and we now are at the bottom of that cycle. With the implementation of healthcare reform, similarly like following the Balanced Budget Act in the late 90s, we are in a period where hospitals are tightening their belts because of uncertainty. Soon, the full reform will be rolled out, employers will adjust to the changes in the payment system, and our job market will triumphantly march upward for another 6-7 years. Here’s the kicker! If this really is the bottom of the market for us, we are sitting pretty. Unemployment in PT remains ridiculously low, and there are still plenty of locations out there with a drought of PTs. Below, I have included several links that I think help paint a good picture of what we are seeing happen in our job market currently and what we can expect to see over the next few years. 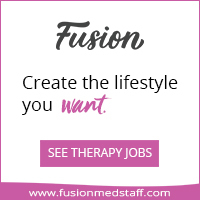 I encourage you to take a few minutes and check them out, particularly if you are currently or will soon be searching for a job in physical therapy. The writer in this first reference equates what he is seeing now in the PT job market with what happened after the Balanced Budget Act: Looking to the Future For The Rehab Professions. I wish the writer had gone into more detail about the parallels he sees between the BBA and now, but he describes, in more details than I ever could, the various forces that will influence our employment opportunities in the years to come. A good read for sure. Some more of the details about what was happening following the Balanced Budget Act can be found in this 2000 article by CNN. I’m sticking to my guns. If you want to be a travel PT or PTA, do it. It is a very rewarding choice and there are plenty of jobs out there. If you, like me, are in an area that doesn’t have a whole lot of travel jobs, consider working in other areas. Here’s two more links that demonstrate two facts: 1. The current market and outlook for PT employment is VERY good, and 2. there are areas where you can look for a job where it’s ridiculously easier to get hired… Fairbanks anyone? In my next blog (next week – part 2) I will tell the tale of my last job search that launched me into this look at the job market and offer what I think are some of the ways that each travel PT or PTA can do be more marketable and continue to take advantage of the wonderful opportunities that come through work in travel physical therapy. 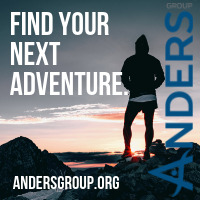 Tagged contract, Employment, jobs, Money, physical therapy, professional development, TravelPT. Thanks for the great article. The last two times my girlfriend (who is also a PT) and I have been told by recruiters that the job market has thinned. I don’t know if this was a ploy to get us to sign on at a lower rate or if there is a downward trend. We have been searching for traveling jobs in Texas and Oregon and are currently working in Oregon until January. Any ideas of states that we may pursue next in January as far as having job opportunities? Ben, Good to hear from you! It’s tough for me to say where might be a better market than others. I only know about where I’ve been looking… I do believe the market has thinned a little. But if you’re willing to go unemployed for 2-3 weeks and have some patience for assignments to pop up, I think that helps. As long as I have been traveling, there’s always been an aspect of whether your timing is right or not. You can look in an area one month and come up empty. If you look in that same area a month later, there may be a bunch of jobs. When Kate and I traveled to Hawaii a few years back, we had no job prospects for a few weeks, then all of a sudden, there were two jobs in Honolulu…. One of the links above (Top 5 paying locations) shows a few areas of Texas that can be quite lucrative. I know Texas is a big place, so not sure if any of them line up with the area of Texas you would like to go to. In the 2nd part of this blog, that I’m writing right now, I’ll talk about how I eventually had to give up on Southern Maine and focus on the Boston area, which is only one hour away, but it had jobs.